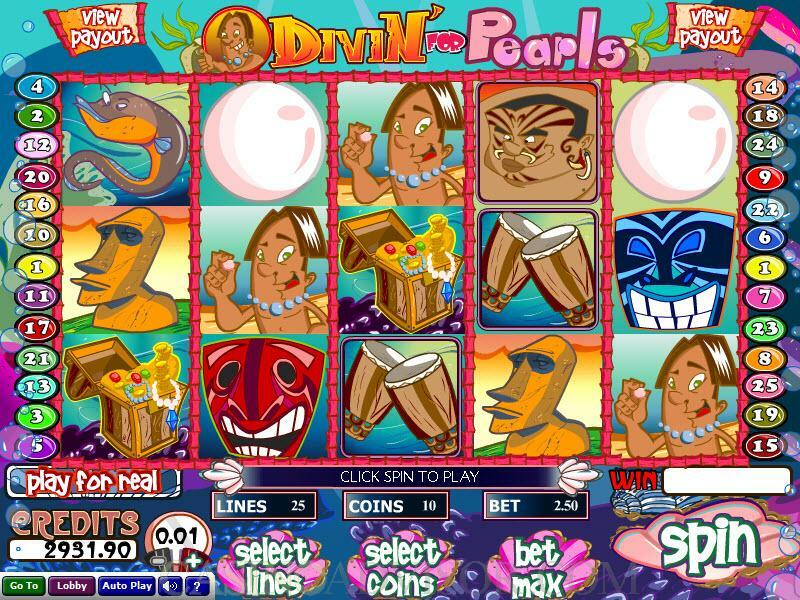 Divin' for Pearls is a sensational new video slots game that comes from Wizard Gaming, the Isle of Man-based company that is making quite a splash in the online gaming software industry. It carries with it a Pacific Island theme, has a wild symbol, a scatter and a bonus icon. To kick this game off, all you need to do is select the coin size (using the plus and minus symbols at the bottom left side of the interface), select the number of paylines you want to activate, the number of coins you want to play on each payline, and click "Spin." You can also bet the maximum number of coins for that coin size by clicking "Bet Max," at which point the reels will begin to spin. The wild symbol is a Cannibal. It can be used to complete any winning combination on an enabled payline, with the exception of those that include the scatter or bonus icon. The scatter symbol is the Blowfish. And the bonus icon in this game is the Clam symbol. There are two bonus games available when you play Divin' for Pearls. 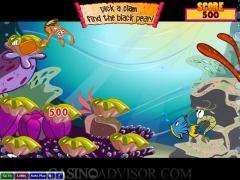 One of them is the Black Pearls Bonus Game, which can be triggered when the Clam symbol appears on reels 1, 3 and 5. Here, you will choose one clam from among seven that appear on the screen. Behind some of the these symbols are bonuses. If you are able to pick a "winning clam" you get to move on and choose again. If you get the Jackpot, you pick up all the bonus wins and go back to the regular game. If you get the Booby Prize, you "clam up," in a sense, and then you return to playing the regular part of Divin' for Pearls. Interested in reading more detailed information about Divin For Pearls? If so Click Here for more details.